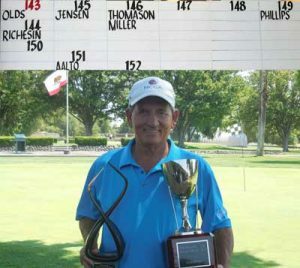 The 2016 Sacramento City Men’s Senior & Super Senior Championship saw fifty six players tee it up at Bing Maloney Golf Club in Sacramento. .
Bob Olds, from Roddy Ranch, won the Super Senior Championship at one under par 143. Bob won by just one stroke over Charles Richeson. Olds also won this event in 2013, and was the Senior champion 2003 and 2004. 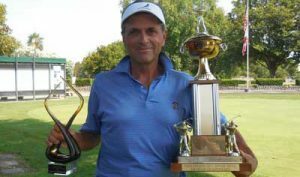 Dave Baskins, Del Paso Country Club, is the 2016 Senior Champion, winning by one stroke over Dale Bouguennec at 140. Baskins was the 2013 senior State Fair champion.